Bye-Bye Highlights! Colour-Melting Is The New IT Hair Trend You Will *Love*! Ladies, your Sunday is about to get colourful! Have you ever seen a girl with two hair colours that perfectly suit her persona and the combination is quite a vision? The colours blend perfectly and it’s done so gorgeously that you almost forget that it’s a work of a hair colourist and not nature itself? That, my friend, is colour-melting - the new 'it' hair trend. The charm of it is in the way hair colour cascades flawlessly down on the hair strands from roots till the end, seamlessly. And that makes it different from balayage and ombré. 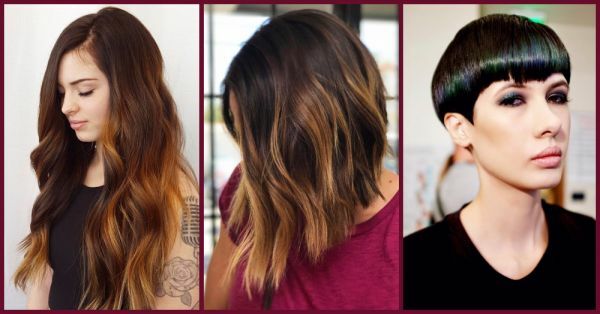 It’s basically a better version of highlights - the process remains the same as balayage but instead of popping the colours, they are made to blend with your natural hair colour or the other colour you choose. You’ve already seen celebs like Ashley Tisdale and Ariana Grande don the look, so you can just pick your colour because it works well with a wide variety of shades (from rich brunettes to rainbow hues). And ladies, it suits everyone! You want this too, right? So pick your fave hair colour from here and rush to the salon.